Im not one to normally buy into the hype. However how about this team and how about Sam Kerr! I always thought sam kerr would just be the little known sister of an afl star who also plays football but what a superstar she has become. Its fantastic that the womens team has its own momentum and its own stars no longer trading off the back of the mens game ( i dont mean this as a backhanded comment ). 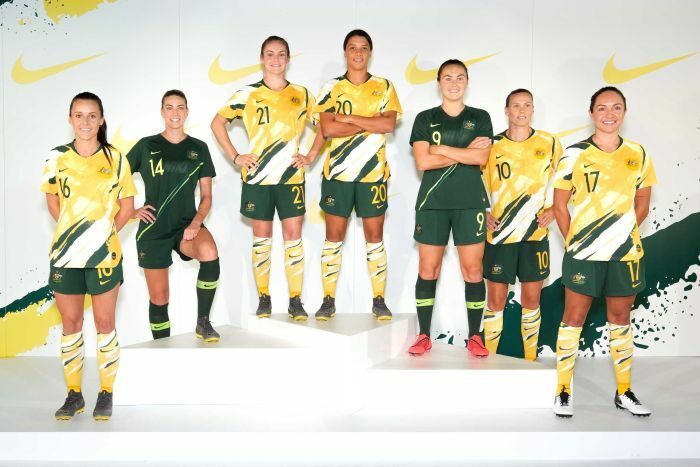 May the Matildas rise continue ! Now to win a World Cup! Kerr is on fire at the moment. She is the leading goalscorer of all time in the US womens league and is currently leading the golden boot and is nominated for FIFA womens player of the year. Disappointing that the advertiser only had a 4 inch x 4 inch article in the very last bit of the sports section about the game last night and thats it. Is sam Kerr the most marketable Australian footballer right now? She is surely attracting attention from the casual fan to the barely interested sports fan. I think its a fair statement that she is starting to gather more interest to football than any australian marquee signing. Best national team we have at the moment! Great to see FFA do something right and schedule all these women’s games. Love the new kit! I'm overdue for a new national team jersey. Glad to see they'll be making men's sizes! Great career move by Milicic. Bag your bosses. Everyone will be lining up to employ him when he finishes with the Matildas.